A Christmas without stockings would be the worst Christmas ever. It would be sadder even than Scrooge’s Christmas future without Tiny Tim. Luckily, I don’t have to face that tragedy, because my sisters and I keep the Christmas stocking tradition alive. Mom kept it simple. She understood that it didn’t matter so much what the stockings contained. It was more about the fun of discovery as we drew out each item. 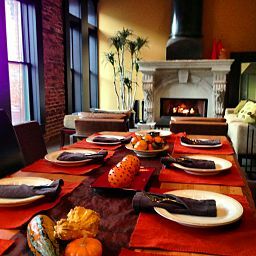 Nothing about the stockings was extravagant, because we lived on a tight budget. In fact, when we were very young Mom didn’t even bother with store-bought stockings. Instead, she simply used Daddy’s white sweat socks. On Christmas morning, after we had opened our other gifts, we dove into the stockings. We never up-ended them and dumped out the contents. That would be cheating. We pulled out the gifts one at a time, pacing ourselves, none of us wanting to finish first. There were foil-wrapped chocolates, candy canes, yoyos and little puzzles, nuts in the shell, and at the very bottom an orange, which filled out the toe of the stocking. While we were engrossed in playing with toys and sneaking chocolates, Mom made breakfast. Shortbread made with real butter. The greatest thing about Christmas stockings is that they allow my sisters and I to be kids again. To play, to tease, to eat too much candy, and to laugh until, red-faced and breathless, we collapse in a merry heap on the floor. Even in those years when we can’t celebrate together, we’re connected by this tradition. I don’t remember a specific gift from my childhood, but I do remember the stockings. Stuffed with everyday treasures, they were the best part of Christmas morning. What about you? What holiday traditions from your childhood do you still enjoy? P.S. Don’t tell my sisters, but this year they can expect to see this in their stockings! Road warriors. I see them everywhere. And all too often, I must confess, I’m one as well. The headlines scream that road rage is an epidemic. A recent study by AAA concurs, stating that 80 percent of drivers admitted to expressing aggression, anger or road rage behind the wheel. This increased hostility isn’t surprising. The roads are crowded and, in many places, in poor condition. We’re often stressed, over-extended and over-caffeinated, and so are the other drivers. Even worse, we’re all distracted. We talk on our phones, eat meals, and even groom ourselves behind the wheel. And then there’s texting. Despite the safety campaigns, the huge fines if we’re caught, and the grisly news images of mangled cars and grieving families, many of us still text and drive. I, too, am a road warrior. I’m in that eighty percent. And truth be told, I sometimes let myself get distracted, whether by a phone call, the weather report, or that new store that just opened up. I’m causing other drivers to slow down, or maneuver around me, or honk, or swear, or gesticulate. I’m part of the problem. Sharing the road isn’t a new concept. But this week it took on a new meaning for me. While driving through a construction zone, I suddenly remembered a lesson from kindergarten. We all had to share the toys at play time. This rule was gently but strictly enforced. Not sharing meant having to sit by yourself, watching everyone else have fun. What if I applied that rule to driving, I wondered. After all, the road does not belong to me. It belongs to everyone, including other drivers, cyclists and pedestrians. To earn the privilege of driving on that road, I must share it with them, just like I shared those toys at play time. I’m working on being mindful of sharing, and putting the road warrior in a time out. Sometimes being in the moment means being bored. That is the uncomfortable reality of attending meetings. I’m not a big fan of meetings. If they go on too long, and what meeting doesn’t, they release the squirmy preteen who lives in my head. She flicks her gaze back and forth between the clock and whoever is speaking. She scribbles nonsense in the margins of her legal pad. When she has exhausted all socially acceptable diversions, she resorts to that middle-school favorite, criticism. Of course she’s not the only person who finds that cliché, or any cliché, distasteful. After all, clichés indicate a certain laziness in the speaker, right, so it’s okay to heap scorn and mockery on their heads, right? Simmer down, I tell my inner brat. It isn’t that simple. Sometimes using clichés is a mistake. But sometimes using them indicates a code, a common language indicating common goals, a way to get to the point faster. In those instances, a cliché can be an effective communication tool. So what’s really going on here, I ask my inner tweenster. Why the eye roll? The truth, it turns out, is very unflattering. To me. The truth is that when I’m bored and fidgety, it’s often because I’m not truly listening. I’m using boredom as an excuse to disengage and think snarky thoughts. Rather than tuning out, I need to tune in. Listening is a skill. It’s an active process requiring not just my attention but thoughtful consideration of the message. It requires setting aside my own impatience and extending the courtesy of my full attention to the speaker. In short, it requires mindfulness. It all starts with the breath. I begin silently counting my breaths, from one to four. Inhale slowly, exhale slowly, and count one. Inhale slowly, exhale slowly, and count two. When I get to four, I start again. This return to mindfulness helps me engage my listening skills. And once I do, the meeting transforms. Or rather, my experience of it transforms. I feel more connected to the others in the room. I start to understand what it is they’re saying, or trying to say. I’m more actively involved. This sense of connection is a good clue that I’ve tuned in again. Do I still get fidgety? Of course. And I still think no meeting should last more than 20 minutes. But I’m getting better at reminding myself to listen. One meeting at a time. We haven’t talked in ages, and it’s all my fault. My excuse – I was thesising! Don’t be mad. I was working on my thesis. But I received my Master’s degree in December 2015 so I’m done. Do you wanna hang out now? I discuss this in a guest blog post I was invited to write for the Thesis & Dissertation Office at Northern Illinois University. I thought I’d share it here so you’d have an idea what I’ve been up to. Thanks for giving me another chance. Now let’s talk about you! Author wiseabundancePosted on February 26, 2016 February 27, 2016 Categories Lifestyle, self care, SimplifyTags busy, career, college, degree, graduate, gratitude, school, stress, university8 Comments on Will you still be my friend? New Year’s resolutions don’t work for me. And it turns out I’m not alone. According to a study described on the website Statistics Brain, after one week 25% of people have dropped their resolutions, and by the end of the year, fully 92% have dropped. Actually, the study reported on the success rate of people in regard to their resolutions, which puts the success rate at the end of the year at a measly 8%. 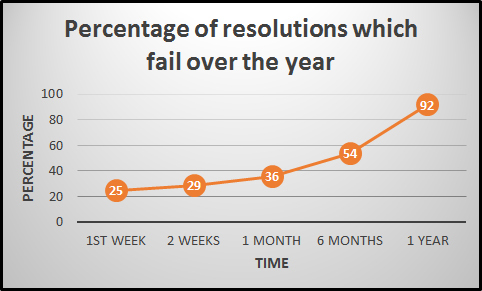 I prefer to turn the statistics around and look at the percentage of resolutions that failed, not people. Every year I made myself miserable by setting overly ambitious goals and then failing. Over the years, through trial and error, I’ve learned a new approach to making resolutions. Reflect on what I did right last year. Reflect on what I would like my life to look like in the coming year. 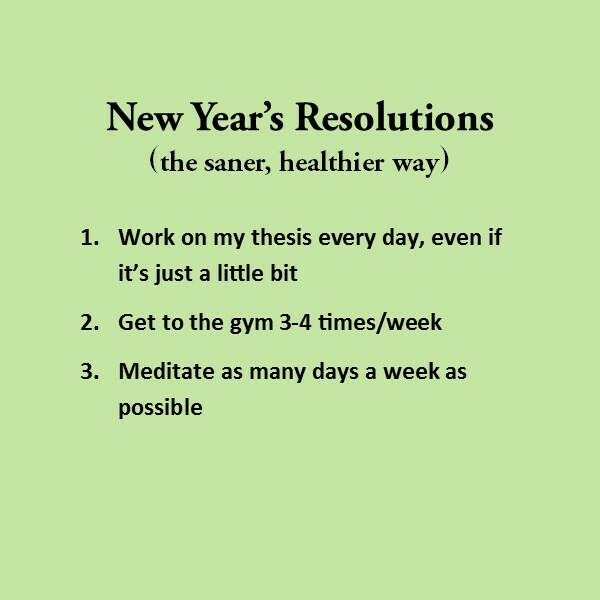 Make just a few resolutions. Give myself permission to change course. I find it helpful to take some time to jot a few notes about what I felt good about in the preceding year. What could I be proud of at work? At home? About my mind? My body? My spirit? Last year I finished up the required coursework for my thesis and started working out at a gym. Nothing earth-shattering, but good, steady progress. Being generous here makes the next step easier. At this point I don’t set specific goals. Instead, I just think about what I would like my overall life to look like in the coming year. Would I like to have more toned muscles? Yes. Would I like to broaden my musical tastes? Maybe. Would I like to set aside more time for R & R on the weekends? Definitely. The idea here is to get a general impression of how I want things to be, and to keep it simple. More is not always better, especially when it comes to setting goals. Setting too many goals divides my focus and my energy. 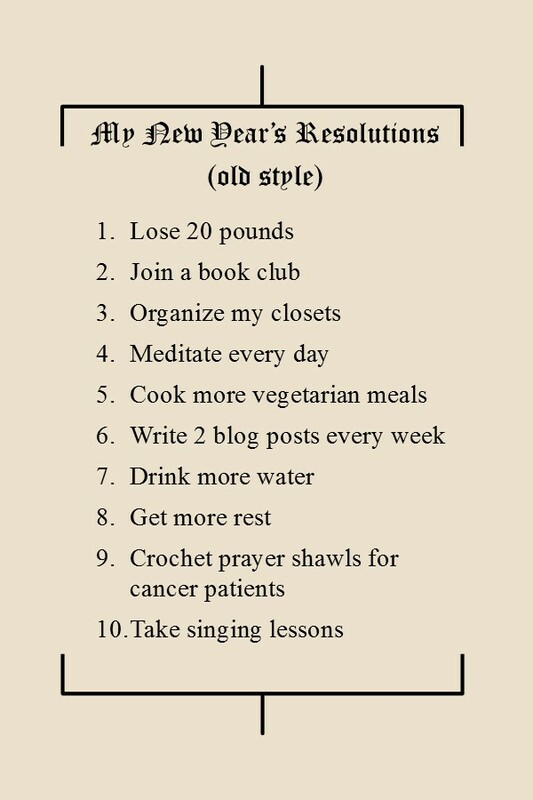 I’m much better off making just a few resolutions. Again, simplify. The very best kind of friend to have is one who offers suggestions which are prompted by concern and respect. Such a friend does not boss you around and give you commandments. Instead, a really good friend wants you to live well, take good care of yourself, and be happy. To create helpful resolutions for my life, I asked myself what a good friend would suggest for me. In my world, which is filled with competing demands on my time and energy, rigid rules don’t work. I need wiggle room. And I don’t need guilt. So I work on letting that go. After all, if I’m not keeping a resolution, maybe the fault is not in me, but in the resolution. Which leads me to my final step. If I’m not sticking to a resolution, I ask myself why. Is it unrealistic? Is it not likely to improve my life? Does it bore me? Depending on the answers to these questions, I might need to tweak a resolution, or replace it with a new one, or drop it altogether. And that’s okay. The point is to improve my life, not follow rules blindly. If you’d like to read more about making attainable New Year’s resolutions, read Logan Chierotti’s 5 Hacks to Help You Stick to Your New Year’s Resolutions. Did you make any New Year’s resolutions? How are they working? Every year at this time I made the same vow: This year my holidays will be simple and serene. Which, of course, never happened. But this year I’m approaching things differently. As part of my coursework I put together this Prezi on holiday stress and meditation. NOTE: A Prezi presentation is a jazzier version of a slide show like PowerPoint. It’s hosted on the the website Prezi.com so you don’t have to download anything. Just click on the link and it will take you right to the presentation. 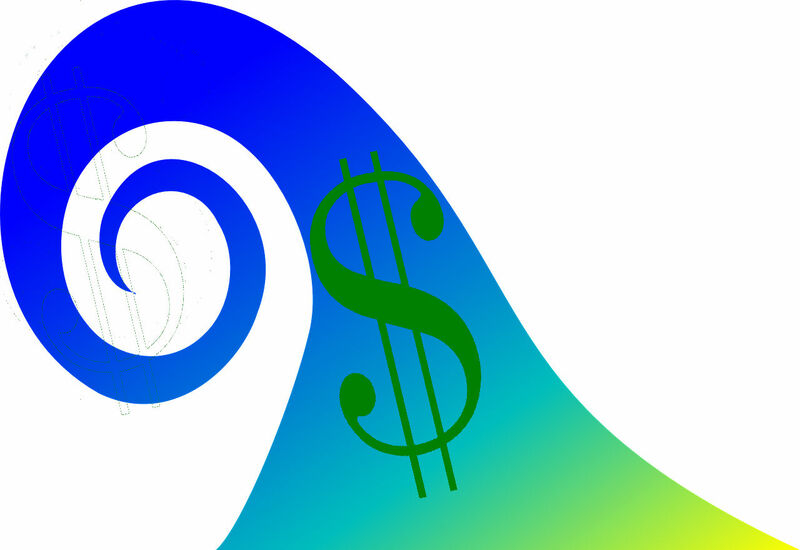 Black Friday rolls toward us in a tsunami of spending. But there is a way we can resist the onslaught of commercialism with our sanity and our wallets intact: gratitude. If we are mindful of all the blessings in our lives, we are better able to resist the temptation to spend too much. In his column “How to Defeat the Impulse Buy” in the New York Times, David DeSteno discusses his study on impulse buying. His findings reveal a lot about our spending habits. Willpower alone doesn’t help curb impulse spending, according to DeSteno, and in fact relying on willpower alone will lead to failure. Marketers have perfected the time-pressured sales pitch of Black Friday and the holiday season in general. Instead of relying on willpower, we need to cultivate gratitude. Gratitude leads to what DeSteno calls “financial patience,” the ability to give up the immediate gratification of a purchase today in exchange for a purchase in the future. Study participants who felt grateful had twice as much financial patience. The takeaway for us is that financial patience can help us resist the temptation of those moonlight madness deals. Being mindful of all we have to be grateful for can help us stick to our budgets. And it can restore our ability to think clearly in the face of amazing deals, never-this-low prices, and limited quantities available. This year when I go out shopping I plan to take a gratitude list. What about you? Will you give this a try? Wise Abundance Blog at WordPress.com.